* An RHCE must pass any 5 of these exams. What if Linux doesn’t do what it needs to be doing? You would need to troubleshoot the issues. In this course, you’ll learn how to analyze Linux and how to troubleshoot Linux servers and desktops from a practical perspective. Learn and test your troubleshooting capabilities, which align with the Red Hat Certified Architect Troubleshooting certification (Exam 342). Learn about building a safe Linux environment. The topics in this course cover all the exam objectives and prepare you for the two most significant certifications in the field of Linux security: the Red Hat RHCA Server Hardening (EX413) exam and the LPIC-3 exam 303 “Linux Security” exam. 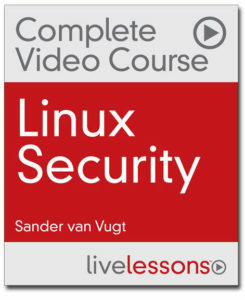 Even if you’re preparing for just one of the exams, it’s recommend that you watch all the lessons in this course, which lays out a framework for understanding Linux security, mitigating threats, and responding to incidents. In addition to the end-of-lesson labs, this course provides you with quizzes to help you learn content and prepare for the LPI Exam 303 test. You will also find interactive CLI sim exercises and drag-and-drop content exercises to help you retain knowledge. 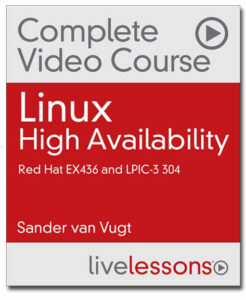 Learn about configuring and using High Availability in Linux. This course focuses on giving you the knowledge you need to maintain a high level of availability for your Linux servers. You will also find full hands-on labs, so you can get real-world experience while working your way through the course. 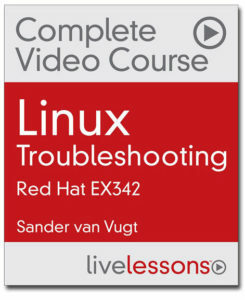 The course can be used with all flavors of Linux, including Red Hat, Ubuntu, and SUSE. It also covers every objective in the Red Hat Certificate of Expertise in High Availability Clustering exam (EX436) and the High Availability portion of the Linux Professional Institute LPIC-3 304: Virtualization and High Availability exam. 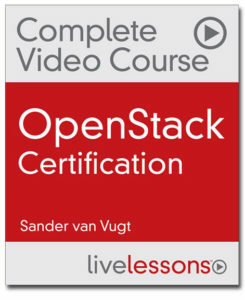 Gain a solid understanding of OpenStack. OpenStack Certification Complete Video Course is a unique video product that provides a solid understanding of OpenStack, so you can pass two certification exams: the Certified OpenStack Administrator exam from OpenStack Foundation and the Red Hat Certified System Administrator (RHCSA) in Red Hat OpenStack exam. In addition to helping you study for your chosen exam, this thorough video course provides in-depth insight and knowledge about OpenStack to help IT administrators, designers, and architects get practical knowledge on how to implement OpenStack-based cloud solutions. 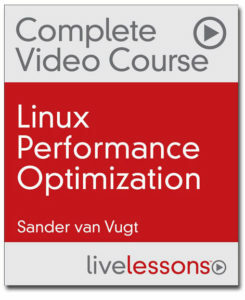 Learn the skills to optimize performance on Linux servers and desktops from a practical perspective. The course provides valuable strategies and information about optimization to prepare you for the Red Hat EX442, as well as complimenting your skill set for the RHCA exams. After this course you will understand and analyze Linux performance to determine best optimization methods. Also you will learn which parts of the operating system you need to optimize, and the mechanisms in place to do that. Finally, you will know how to optimize Linux performance to manage servers with specific needs. This training RHCE Complete Video Course is excellent for RHCE exam preparation. I have also seen the first series of video’s of RHCSA and RHCE but these second versions are even better. Very good explained. Thanks Sander ! I wish I had this training RHCE Complete Video Course before I took my first RHCE exam. Having taken the exam (I passed and want to re-certify) I can tell you he’s spot-on when it comes to what you need to know.